Get Your Business Noticed Around Atlanta! We’ll print your billboards too! Talk to us about all your signage needs! Billboards Make Traffic Work For You! If you’ve driven anywhere in Atlanta for more than 10 minutes, it’s obvious that traffic in this town is bad. At certain times of the day, you’re going to be sitting in traffic and well placed billboards will remind you of what you’re missing or all that you could be doing. If you own a business where brand awareness is a problem, billboard advertising may just be the missing piece of your marketing puzzle. Call Billboard Connection today! 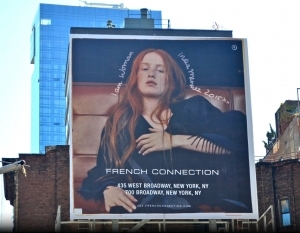 How Much Does A Billboard Cost In…? It’s the most popular question we get when people call us. People who want to do business in Johns Creek, Suwanee, Dunwoody, Alpharetta, Buckhead, etc. 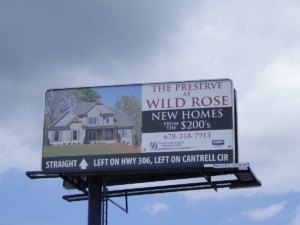 call us and ask, “How much is a billboard in Dunwoody?” It’s not the easiest answer because, like most answers, it really does depend. More Ways Than Ever To Get Your Business Noticed! 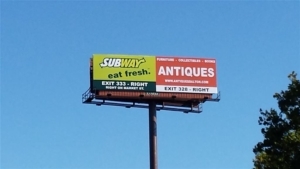 Billboards are one way to attract more customers to your business, but we also have other forms of outdoor advertising available depending upon your budget and needs. Let’s work together to increase your business. Let’s Work Together On Your Brand Awareness! 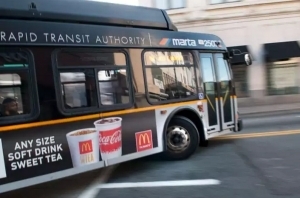 Our mission is to find the most cost effective way to help you increase the visibility of your business through all forms of outdoor advertising around Atlanta. We believe in setting the standard for customer service. We do this by giving honest, experienced consultation along with prompt responses and realistic timelines for our work. We always set realistic expectations. Our goal is to consistently under promise and over deliver. People in Atlanta spend nearly 60 hours a year sitting in traffic. This means that whether you’re a driver or a passenger, you’re a captive audience. There are only a few things to look at while waiting for the car in front of you to begin moving again, and billboards are at the top of that list. 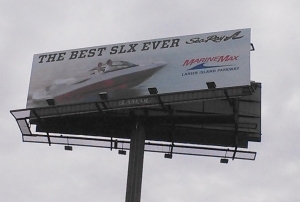 No matter where you’re stuck in traffic, billboards get noticed. That means your business gets noticed. 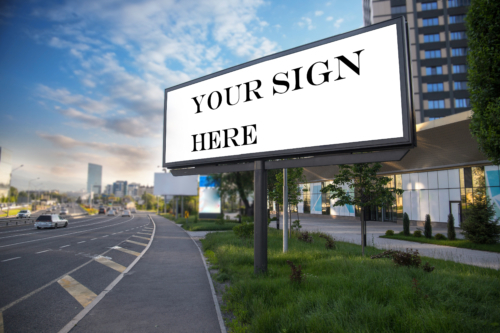 One Arbitron study found that 71% of consumers look at billboard signs “often”. Roughly 56% of the respondents say that they went on to tell a family member or friend about an interesting billboard they saw. Most of the respondents claimed that they learned about a product or service from a billboard ad. 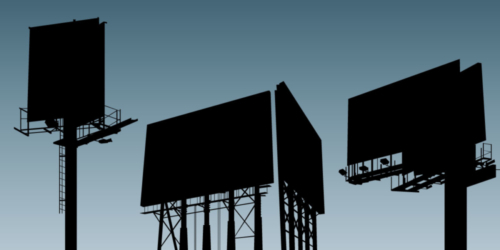 While it’s undeniable that billboards are hard to miss, one study found that nearly 72% of billboard viewers shop on their way home (even though they should keep their eyes on the road!). Depending upon the industry, an impressive 68% of consumers make purchasing decisions on their drive to and from work. 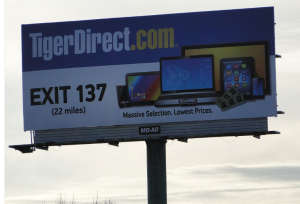 This means that billboards can actually influence buyer decisions and even lead to impulse buys. Would you like a 30% conversion rate for your business? Who wouldn’t? One study showed that 32% of billboard viewers bought a product, ate at a restaurant or patronized a business that they saw on a billboard during the week. Those numbers are impressive- especially when you consider that most mailer campaigns are lucky to net a 1% return. Given that, it’s fairly easy to see that billboards can definitely help your business. Where Do You Want Your Business Seen? You can complain about Atlanta traffic all you want, but the truth is that our traffic provides opportunities for your business to get seen all along interstate 285, 85, 316, 400, 20 and more. At Billboard Connection, we’ll help you develop an effective marketing plan that will bring a solid return on your investment. Let our staff put your business name in lights! Call today! 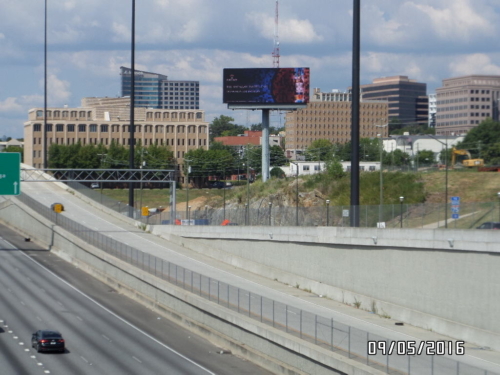 At Billboard Connection, we provide billboards and digital billboards on roadways throughout Metro Atlanta. All of the cities and highways in Georgia have very high traffic and great potential in increase your brand awareness. Normally billboards are all about your customer traveling past them, but what if you could take your billboard to your customers? You can with our mobile billboards. We’ll help you create the right message and take it to the people! Perfect for areas where there are food trucks, festivals, chili-cook offs or any other event or gathering imaginable. Call us to talk about how you can add mobile billboards to your marketing mix. Let’s get your business in front of the right people today! Get Your Business Seen At The Big Game! We also have great chances to advertise your business with billboards in sports stadiums like the new Mercedes-Benz Stadium, Bobby Dodd Stadium, The Georgia Dome, Turner Field, Philips Arena, and so many more where billboards and signage can be seen by thousands. Get a billboard that stands out in a crowd! If you are looking to promote your business product ads, event tour ads, convention center ads, or any endeavor your see fit. 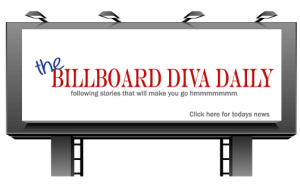 Billboard Ads Get High Rates of Impression Daily! 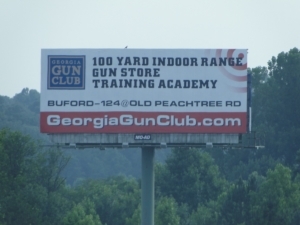 As a Billboard Advertising business in the state Georgia, we can organize many different advertising services throughout locations in local cities of North Atlanta. We encourage that your advertisement should reach people in two ways. The first approach is based on material branding identification and the second point is the positioned location that gets the ad material seen. With a little help, we would be able to set you up with the professionals you need to get advertising on some of the best high traffic locations in North Georgia. A billboard advertising method can change your return on investment rate, so your company grows exponentially. 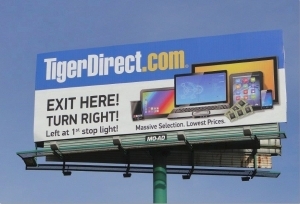 With a quality billboard ad, you can find how easy it is to convert traffic into paying customers! Our guidance can offer a valuable input as to whether your company industry will have an advantageous R.O.I. with the use of billboard advertising. Make your company product or service seen with a huge billboard banner in Atlanta. Your billboard ads will be seen from across big highways or buildings throughout the city. We assure that advertisements will be completely visible and formatted to meet the standards of the ad medium such as quality ad canvas printing or digital ad graphic design in Atlanta. Choose amongst a variety of ads to find what is the best strategy for your business. Give us a call and we can change a good ad and an even better ad! Your business needs customers at a daily rate. With Billboard Ads Atlanta, you will get the marketing advertisement that will make your revenues take off! An affordable rate can make such a difference in the way marketing is done. A cost-effective strategy means better conversion ratio. Reach less into your pockets and still be able to reach thousands of potential customers a day without a second thought. 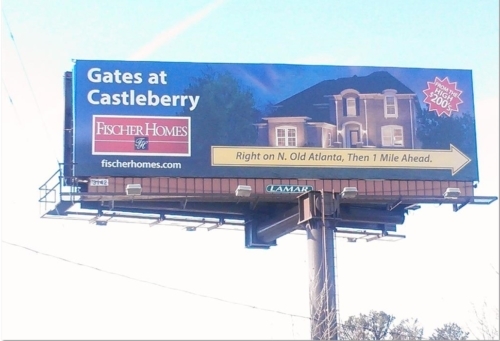 Learn what fits best within the company market plan and try out an affordable billboard ad in local Atlanta cities. It can really make a difference in the way business gets done. Each advertisement service you put into the world will get some sort of awareness based on the brand design, ad concept and other details entailing the visualization & location position. Learn how customers can be reached with a billboard advertising company in Atlanta Georgia!